Lynda has a passionate love of people and the development of future leaders. She is a master networker, innovator and big-picture thinker. Lynda has 40 years business experience and a unique set of skills and knowledge, creating an unmatched value proposition in dealing with all aspects of the 50+ generation. Lynda has travelled extensively both locally and internationally, giving her diverse experience and the ability to see through traditional boundaries, and to bring diverse areas together to create something unique. Her knowledge and experience spans education, business and the South African longevity economy. Her diverse set of abilities include: strategic thinking, leadership development, sales and marketing, coaching, counselling, facilitation, writing, public speaking and networking. Lynda is the CEO of Refirement Network, a business involved in helping organisations and Individuals 50+ to understand the opportunities and challenges that the future holds for this demographic group. 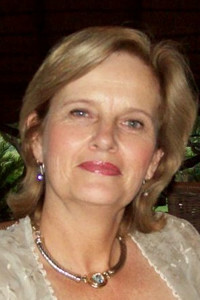 She is an accredited retirement coach in South Africa through Retirement Options USA. Lynda began her business career in education when she started her own Educational School Supplies business. She then joined the direct sales division of Smile Education Systems where she became the Sales and Marketing Director. She then helped grow the MySchool programme with Woolworths . She has also worked with the TomorrowToday team, helping companies understand how the world is changing and the challenges and opportunities of working in the 21st Century. From 2010-2015 Lynda was the pioneering CEO of a social enterprise helping to change early childhood development in South Africa. Lynda is a Social Entrepreneur and networker able to connect the right people, thereby creating synergy and dynamism. She has a real passion for children, women in leadership and understanding how we as South Africans can unlock skills development and grow the economy. Lynda feels strongly that the social landscape of South Africa will only be influenced when South Africans understand how important it is to play an active role in the development of the future generation. Lynda has built a strong base of connections and stakeholders globally in the longevity economy. She is a faculty member of Age without Borders and the South African liaison for The Pass it on Network. Lynda has two adult children and 4 grandchildren. Her hobbies include reading, learning, theatre, movies, travel and socialising with friends and family.